As part of the Home Office requirements, all applicants must ensure their documents are translated into English. This is a strict requirement and if the Home Office or overseas embassy/visa post can’t read a document they will not accept it. This can lead to your visa application being refused for not having a translated document. Here at WM Immigration we can assist with getting you to the correct translation company to provide document translation. Certain criteria must be met for a document to be accepted by the Home Office for immigration purposes. In general, they must come from a professional translation service. Using a service that has experience with Immigration is a bonus. You should avoid using any translation by either yourself, family member or friend as these will be considered impartial and not accepted. Student Visa Applications such as that for Tier 4 General will require your documents translated if not in English. It may not only be the British embassy post that requires the translated documents, but also the UK university that you are applying to. 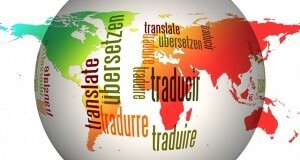 By getting the documents translated you will save yourself a lot of time and hassle. An alternative to getting a qualification translated is to use NARIC. They provide equivalency services for overseas qualifications and specify if they were taught in English and to what level of education in the UK they are equivalent to. By having your qualification such as your degree compared to a UK degree you will have evidence that your degree certificate meets the requirements it is used for. It is still advisable though to get a translation for peace of mind. You may also have to show the qualification to other sources such as a future employer in the UK and having a translation prepared will make this job application process smoother. Which countries need documents translated for their Immigration application? There are many different countries that require their documents translated into English as part of the immigration process. Some countries such as India now have English and the local language on the document whereas some don’t follow this practice. It’s important to ensure that even if there is English translation on the document that all the vital information is translated as some documents still have names in other languages such as Chinese or Arabic. If you have a document in a different language or are unsure please contact WM Immigration. We can assess the document and if required find suitable translation services for your document to meet the Home Office immigration requirements.